So when my husband came home, I showed him the card - he said it looked like a card for a little boy with the light blue background. So I tried it on brown and we both liked the look better. Thanks, Honey! 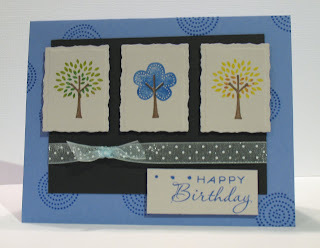 I just finished this birthday card for a friend of ours. 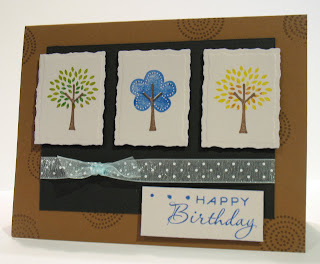 I used Trendy Tress for the tree images and the dotted swirls on the blue background. Totally Scraplifted - but so adorable! 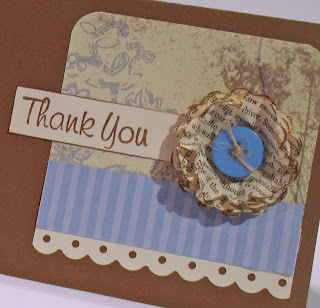 I found this adorable card on Dawn McVey's Blog. Check out her original design. 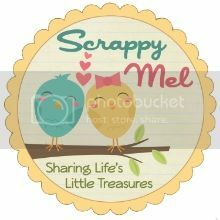 I made two of these - they wers so stinkin' cute! Thanks, Dawn! 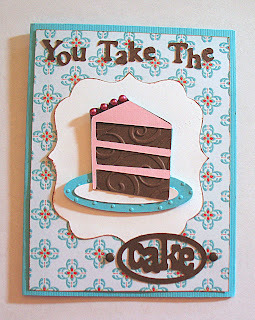 Oh, I left the inside blank - I figured it could be used for lots of purposes (birthday, thank you, thinking of you, etc)! 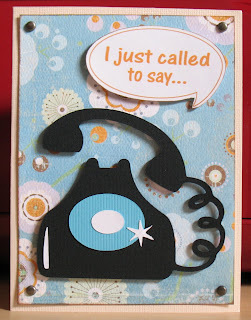 The phone is cut from - From My Kitchen Cricut cartridge. 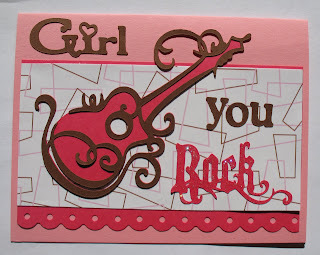 Yesterday was my niece Alyssa's B-day and I made her this card - isn't it adorable?! Here comes a new card! My friend Tammy came over and we made this adorable card. 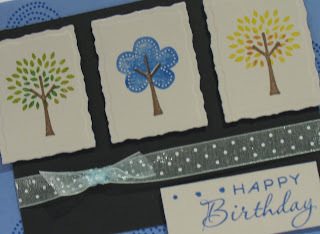 We were thinking for a birthday but I think you could use it as a thank you card, too. Add all ingredients and cook on high for 7 hours. Enjoy!